Law Centre-II made a humble beginning in the year 1971 at the premises of ARSD College, Dhaula Kuan to offer full-time LL.B. program. It has a glorious past of 48 years. The LL.B. 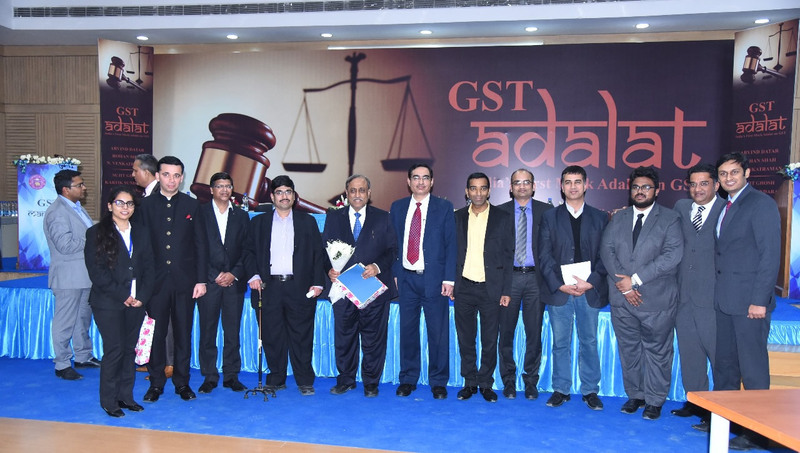 classes were conducted in the evening and the alumni of Law Centre-II included top bureaucrats, police officers, military officers, teachers from different departments, chartered accountants, doctors, engineers, and other professionals. 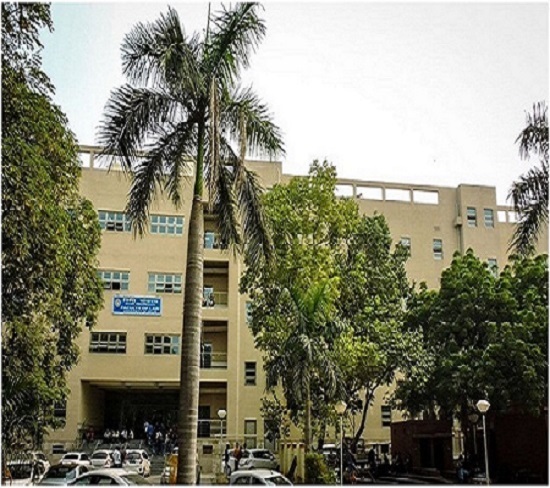 The Centre had the privilege of being headed by the top law scholars of India, such as Prof. Upendra Baxi, a well-known jurist and former Vice-Chancellor of University of Delhi; Prof. Tahir Mahmood, who subsequently became Chairperson, Minority Commission, Prof. A.K. 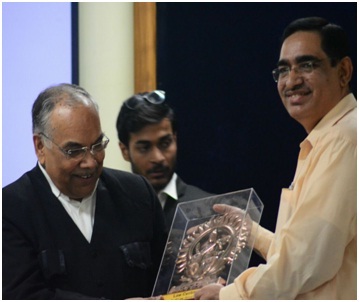 Koul, who was elevated as Vice-Chancellor, National Law University, Jodhpur and National Law University, Ranchi, Prof. Gurdip Singh, who became Vice-Chancellor, National Law University, Lucknow, Prof. Poonam Saxena, who is presently Vice-Chancellor, National Law University, Jodhpur and Prof. B.T. 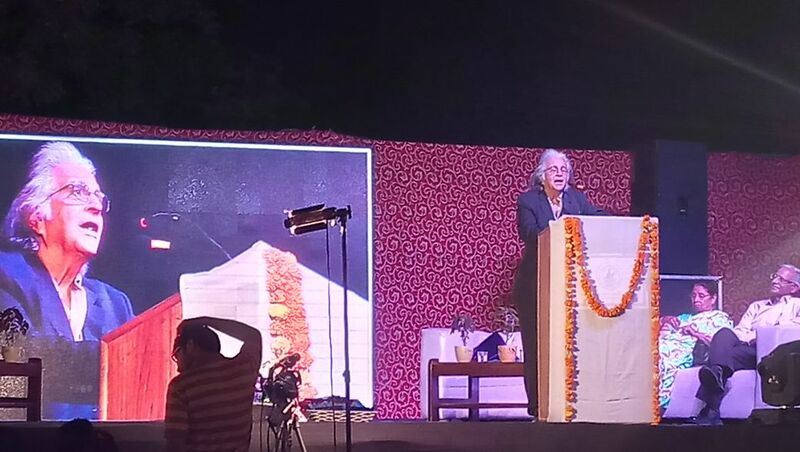 Kaul, who is presently Chairperson, Delhi Judicial Academy. 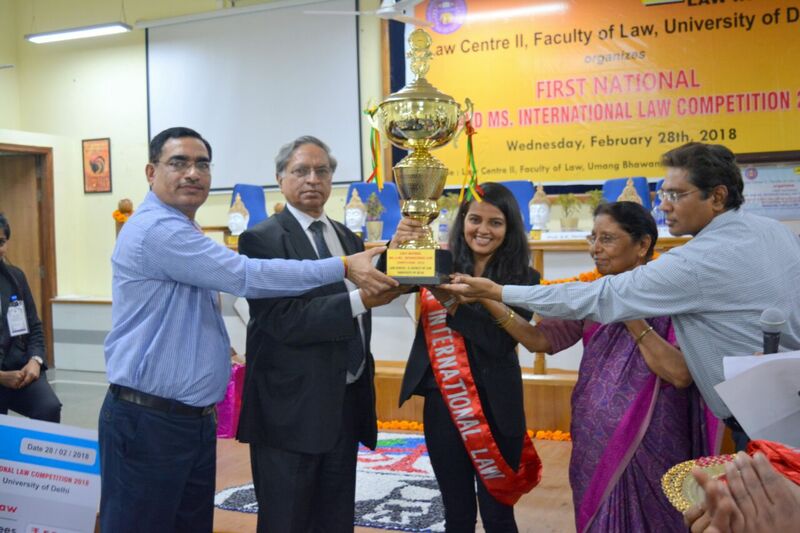 Law Centre-II is a premier institution and is known for its qualitative teaching, research and other co-curricular and extra-curricular activities. 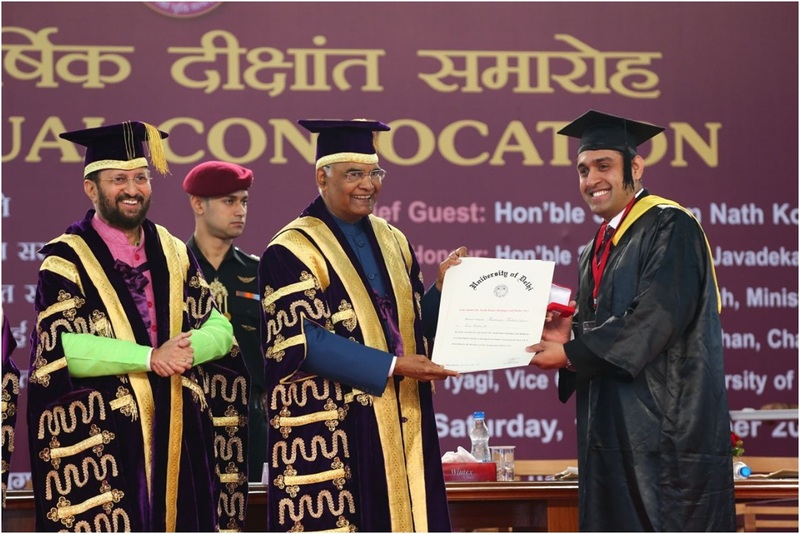 It is one of the best institutions in the country which imparts three year LL.B. program. 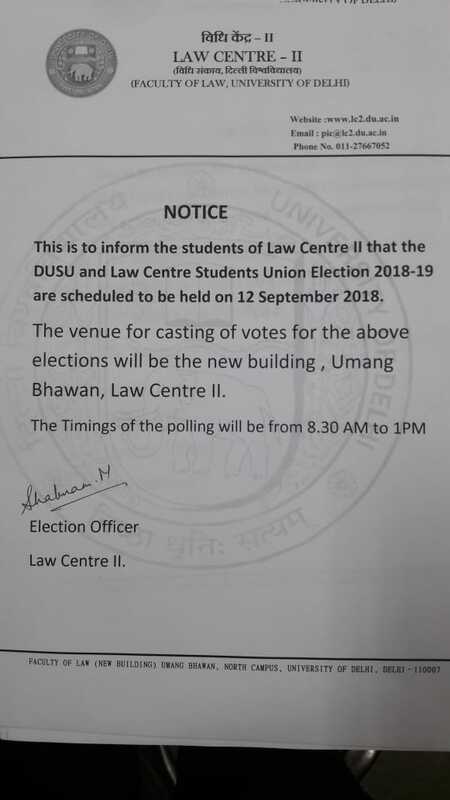 To promote student activities at the Centre, a number of committees have been constituted. 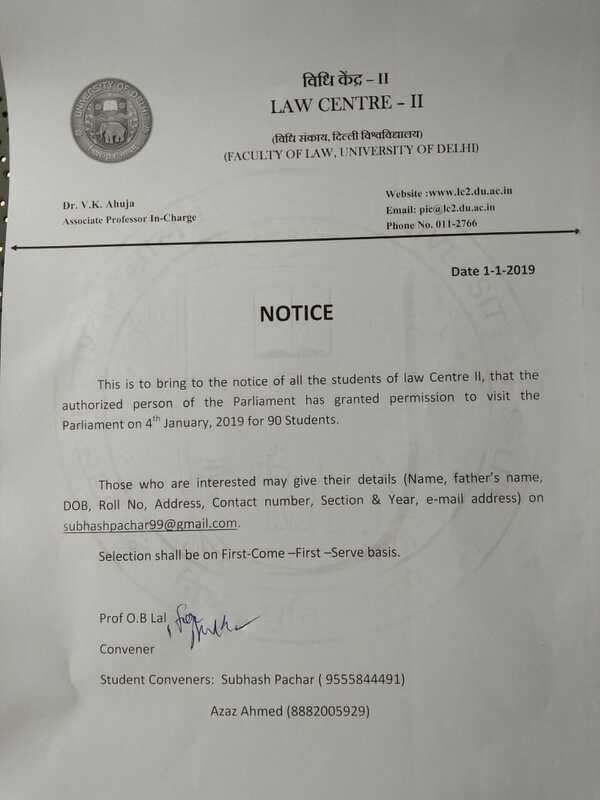 These committees include Moot Court and Debate Committee, Seminars, Conferences and Extension Lectures, Journal Committee, Legal Aid Committee, Placement Committee and Alumni Committee. There is an active participation of students in these committees. The teacher members and students volunteers organize several activities on a regular basis throughout the year. The S.K. 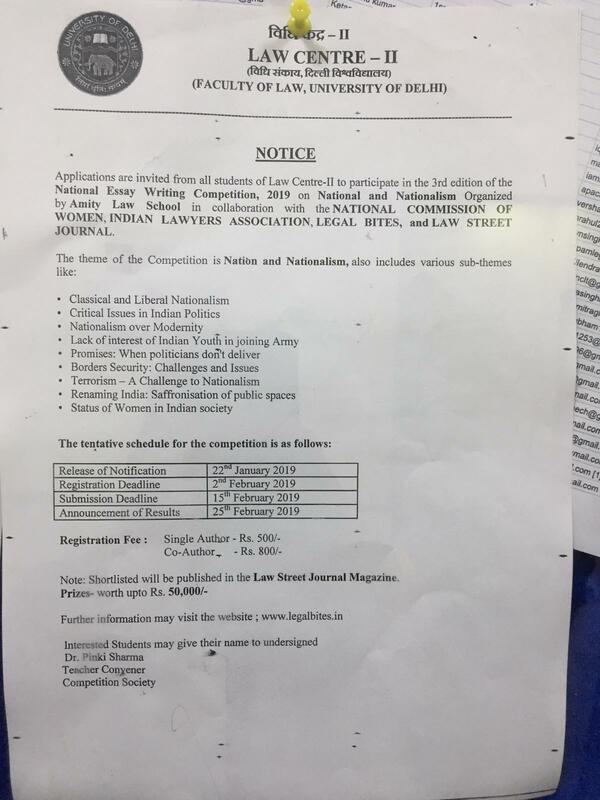 Puri Memorial Moot Court Competition of Law Centre-II �JUSTIFIED� is an annual activity in which teams from all parts of the country participate. 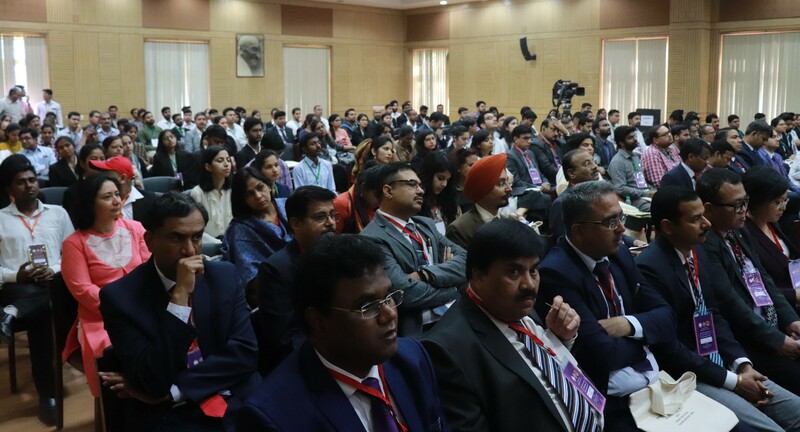 The Seminars and Lectures Committee apart from organizing seminars, conferences and workshops, organizes lectures of legal scholars from all over India and abroad. .
Last extended date for submission for Examination Form 29 March,2019 by 5.00p.m. Lecture on BREXIT : TO BE OR NOT TO BE (IN THE EU) on February 27, 2019 at 2.00 P.M.
Time-table of First Year LL.B. 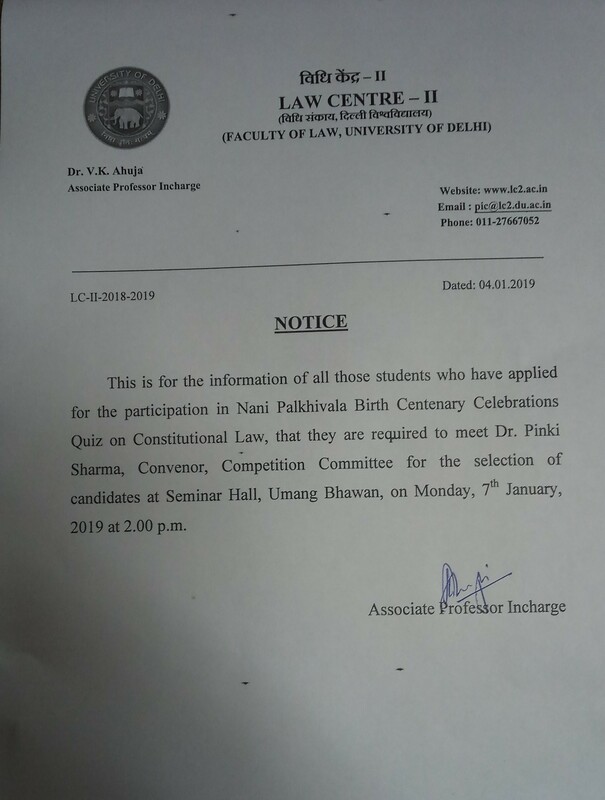 Time-table of Second Year LL.B. 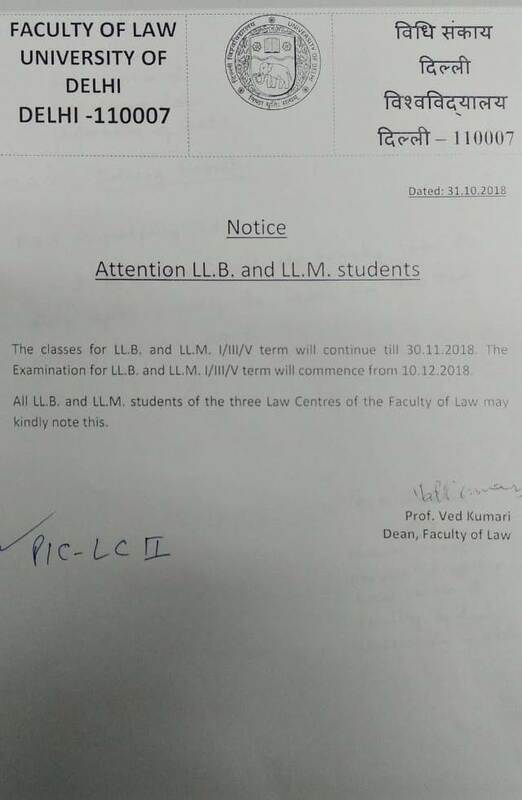 Time-table of Third Year LL.B. 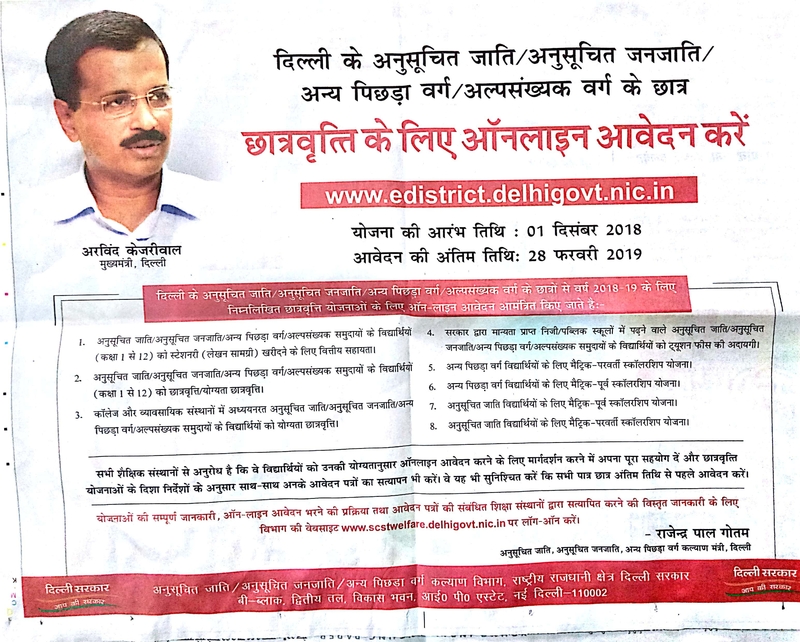 Admit Card for I/III/V Semesters of LL.B. 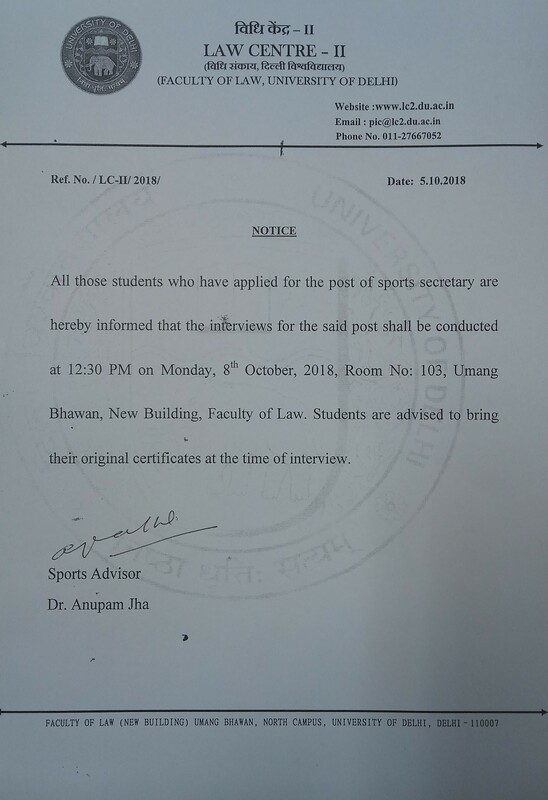 Notice regarding Optional Papers for II and III Year LL.B. 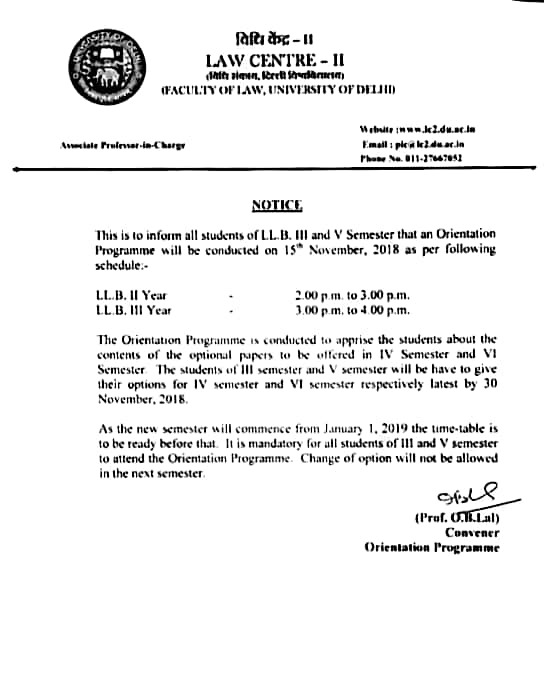 LC II- Orientation Programme Schedule- First Year LL.B. 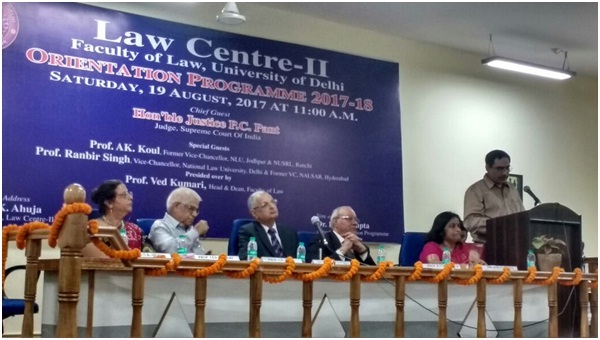 Law Centre II- Orientation Programme First Year LL.B. 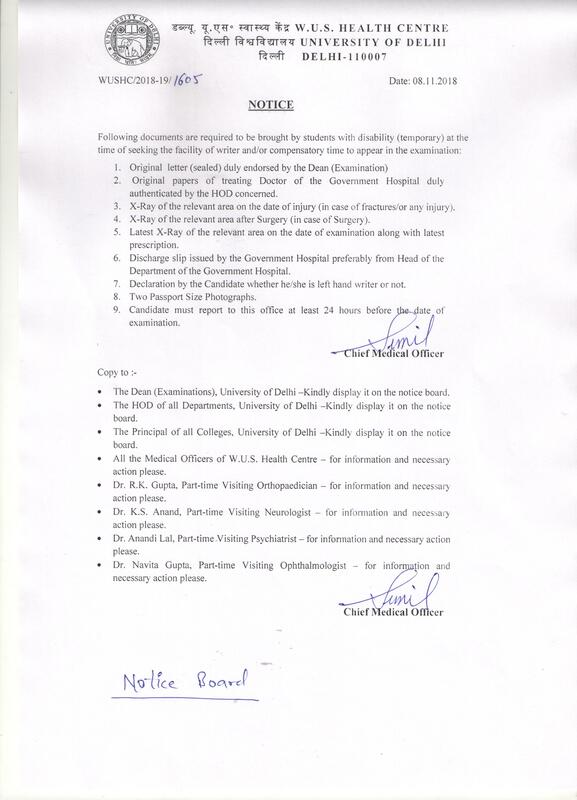 Availability of Criminology as an optional subject for V Semester LL.B. Law Centre-II made a humble beginning in the year 1971 at the premises of ARSD College, Dhaula Kuan to offer full-time LL.B. program. It has a glorious past of 47 years.